DAUDKHEL: A 25-year-old mother of two enrolled in primary school along with her children on Saturday. 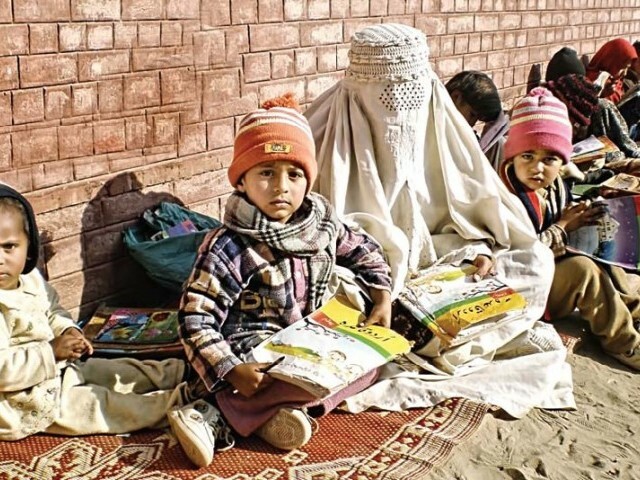 Daud Khel resident 25-year-old Asma enrolled in class 1 with her two children. When the woman was asked by the school teacher about the reason for her enrolment she said that she had always wanted to go to school but her parents had forbidden it. “…I told my husband how much I regretted never having been to school myself,” she said. “He told me that I should enrol also,” Asma said, adding “I am very lucky, most men would forbid such a thing,” she said. It is a good news. She is brave and bold lady. She has taken a nice action, I am requesting other female to follow her step. Furthermore, there is no age limit for education. My salute to that lady for her great action.